One can help but wonder what, aside from the Adirondack lounge on the deck, lies beyond that inviting arbor. Photo courtesy of The Lipman Group. 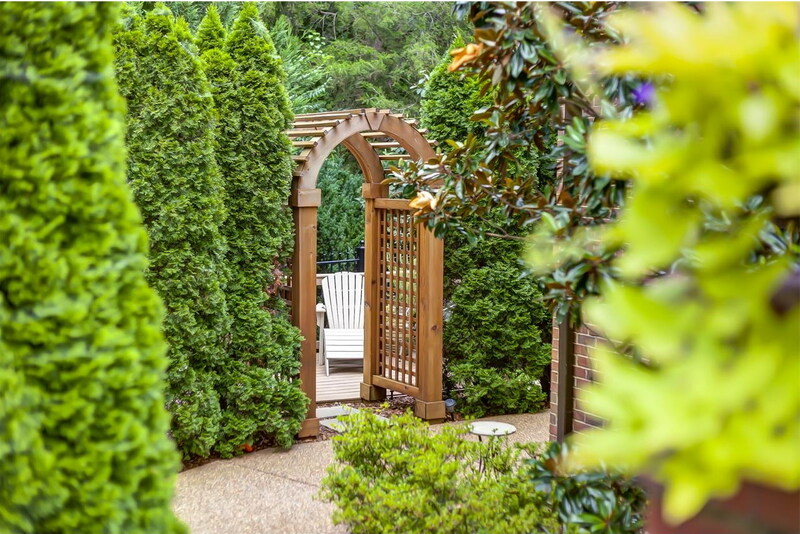 This entry was posted in Garden Design, Uncategorized and tagged arbor, garden, plantings, shrubery, shrubs. Bookmark the permalink.